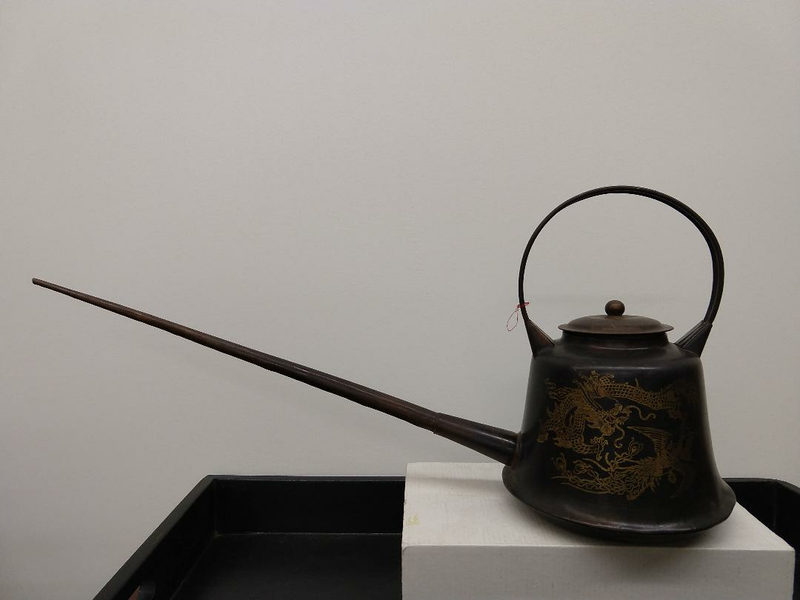 A classic hot water pour in copper teapot shape is still used today to pour tea or hot water into cups from a distance in an arch as a precision performance only by professionals in traditional Chinese tea gardens. Not a drop outside the cups. 21" spout to handle and 9 1/4" in height.